Red Carpet Look: All black, deeply unbuttoned shirt, black boots. Where: The 57th Annual GRAMMY Awards in 2015. 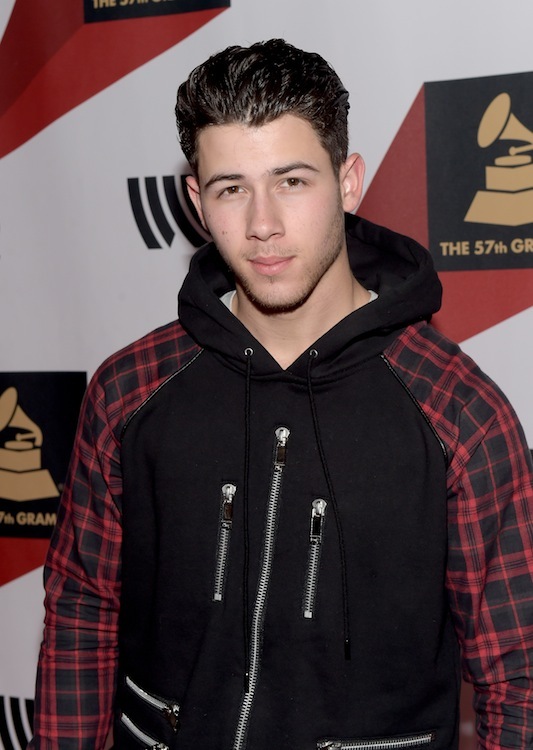 Photo by Larry Busacca/Getty Images for NARAS. 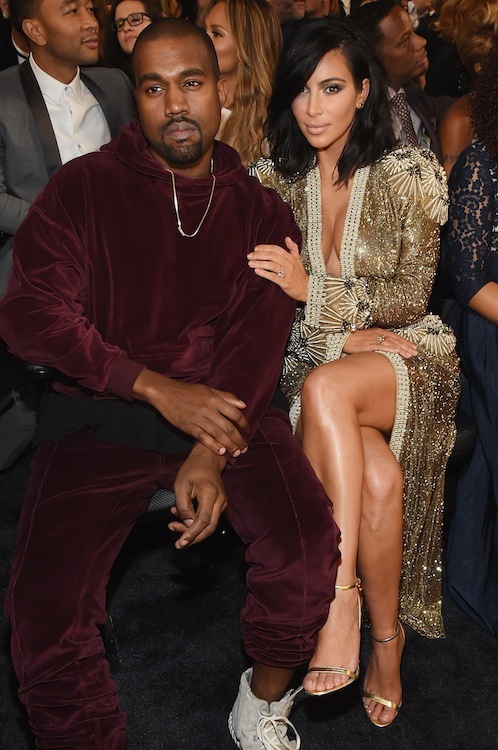 Wardrobe Change: Crimson velvet velvet pant suit with grey Yeezy boosts, natch. Flash Back: Ewe. Part Michael Jackson circa Bad, part John Travolta circa Saturday Night Fever. 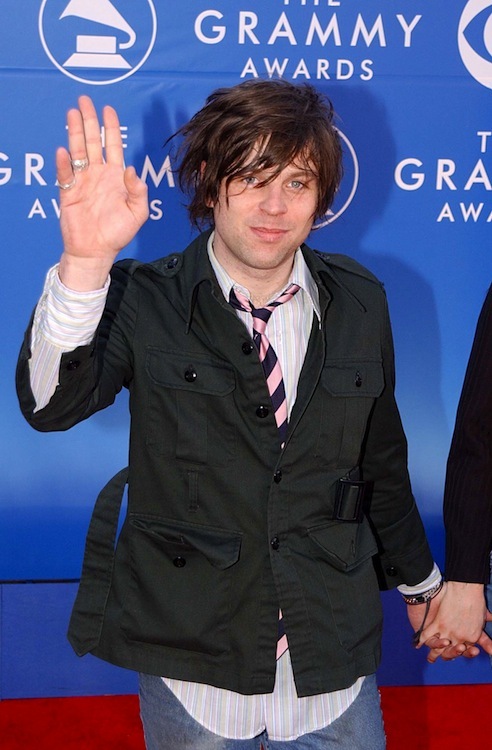 Where: The 48th Annual GRAMMY Awards in 2006. Photo by Jeff Kravitz/FilmMagic, Inc.
Red Carpet Look: The solo singer, who broke out with his solo album track “Jealous,” walked the carpet in gray, black and yellow plaid suit by Versace. Key Accessory: White laceless high top sneaks. 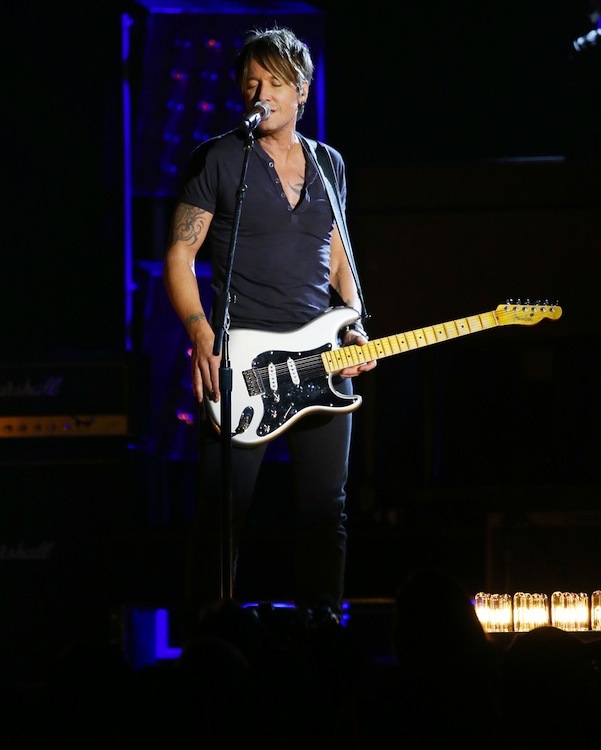 Wardrobe Change: The trend of the night was to quickly change to sweatshirts once inside, a longtime staple of the singer’s wardrobe. Key Accessory: Plaid sleeves and prominent zippers. Red Carpet Look: Sam stepped out on the red carpet with a crisp Armani suit with classic black and white bowtie. Key Accessory: White cross earrings. 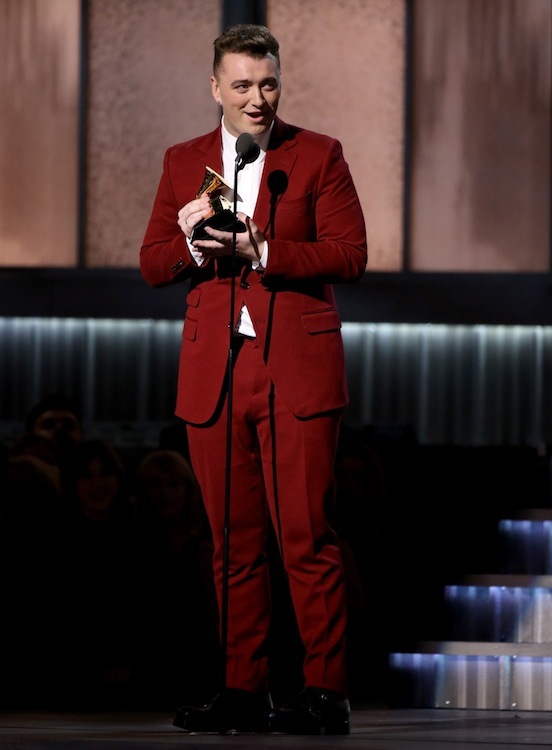 Wardrobe Change: To accept his first award of the night, he had a quick wardrobe change to a bright cherry red suit. Becoming a style icon, he has recently has been chosen as the face of Balenciaga! Red Carpet Look: Heather grey Dolce & Gabbana tuxedo with shawl lapel popped on the carpet. Flash Back: Sporting white-on-white suit with wide peak lapel, even a few Grammys in you hand can't keep you from looking like a wedding singer. 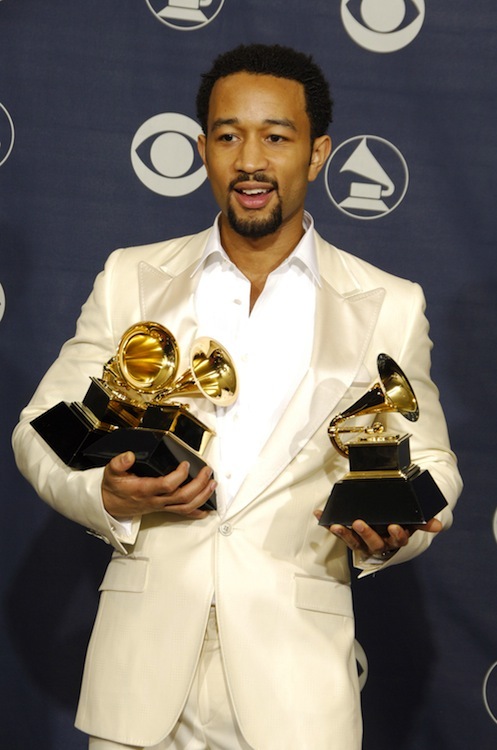 Where: The 48th Annual GRAMMY Awards in 2005. Photo by Steve Granitz Archive 1/WireImage for The Recording Academy. Red Carpet Look: White shorts suit with matching bow tie. Best Accessory: Small black pocket square. 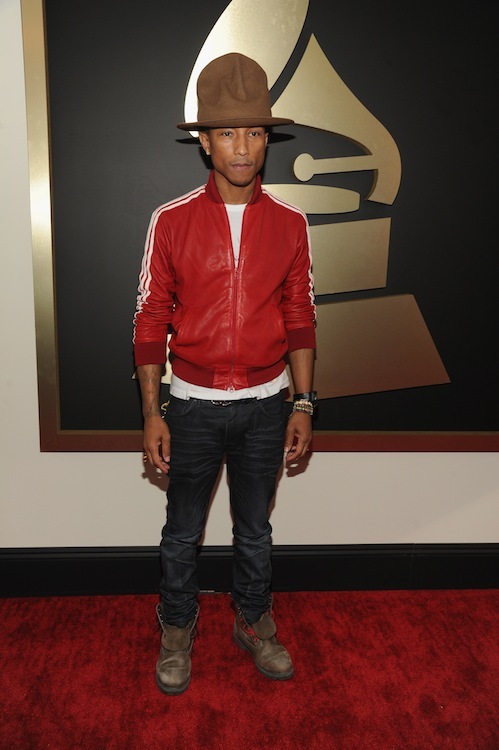 Flash Back: Old school meets new cool with red leather Adidas jacket, black denim and oversized work boots. Best Accessory: The signature hat, of course! By bespoke designer Nick Fouquet. Where: 56th GRAMMY Awards in 2014. Red Carpet Look: His usual look - high boots, tailored blazer, slim fitting jeans. Flash Back: Sloppy low-slung shirt. Where: The 56th Annual GRAMMY Awards in 2014. 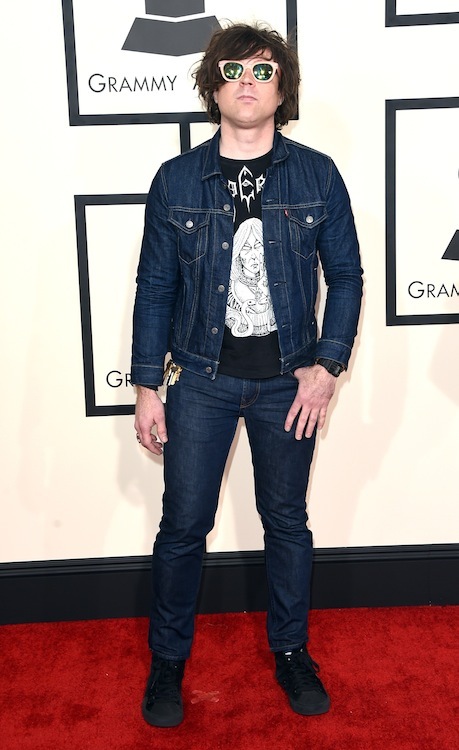 Red Carpet Look: Classic indie rock vibes with casual black graphic t-shirt and jean jacket. Flash Back: Disheveled schoolboy vibe. Where: The 44th Annual Grammy Awards in 2002. Red Carpet Look: Classic, Don Draper inspired tux. Best Accessory: Popping b&w pocket scarf. Where: The 55th Annual GRAMMY Awards in 2013. Flash Back: Almost reformed boy-band vibe, with ill-tailored pants and too-short tie. 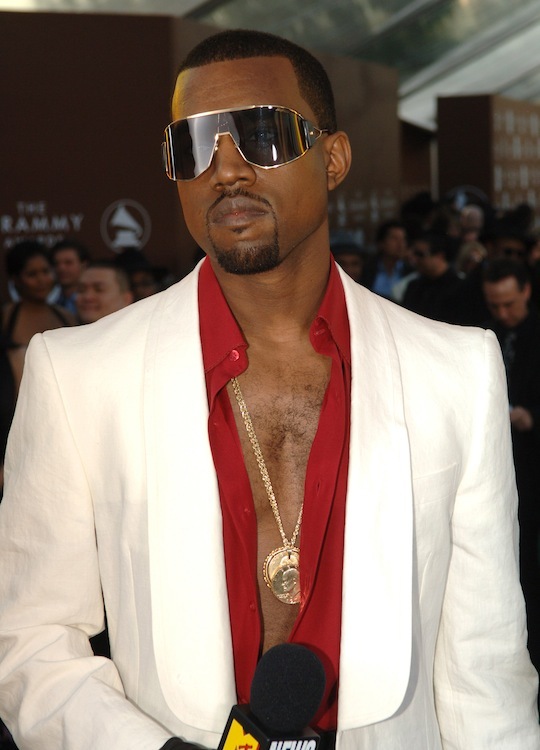 Where: The 46th Annual Grammy Awards in 2004. Photo by Steve Granitz Archive 1/WireImage for NARAS. Red Carpet Look: The grey Dolce & Gabbana superfly tailored suit was a stand-out. Best Accessory: Round, tabby-framed optical eyewear. Flash Back: Ill-fitted pinstripe ensemble more suitable for a banker than a rockstar. Worst Accessory: Super boring silver tie. Where: The 45th Annual GRAMMY Awards in 2003. Red Carpet Look: The Maroon 5 frontman and Voice host struck a balance of classic Hollywood and pop star style. Where: The 54th Annual GRAMMY Awards in 2012. Flash Back: Uhhhh....Clam diggers are almost never, ever, ever cool. Worst Accessory: Calf-high leather lace-ups. Where: The 53rd Annual GRAMMY Awards in 2011.